Every small town has some empty windows downtown. 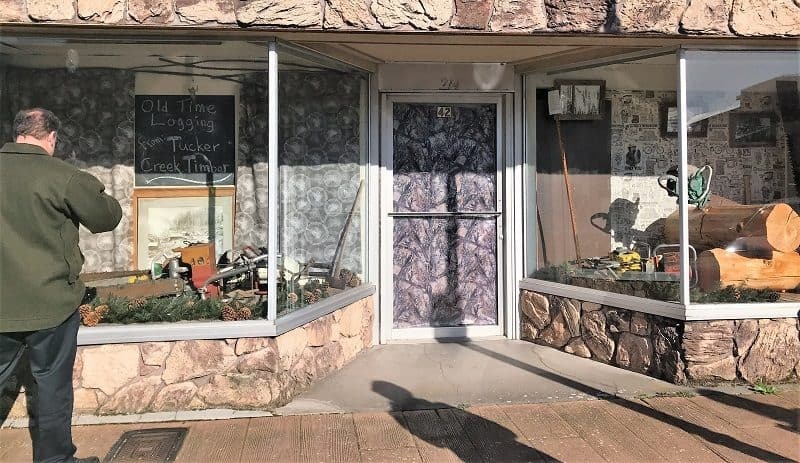 Some are empty buildings, some are buildings being used for storage, and some are service businesses that just don’t have a lot to put in their windows. 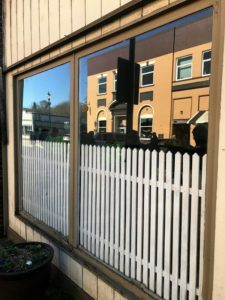 Here are three ideas I saw on my trip through Cowlitz County, Washington. Work with the local museum to make a temporary display in the windows. This works even for tiny outdoors display cases, which you sometimes see on old jewelry store buildings. The photo at the top is a mini-museum display I saw in Castle Rock, Washington. This picket fence was also in Castle Rock. 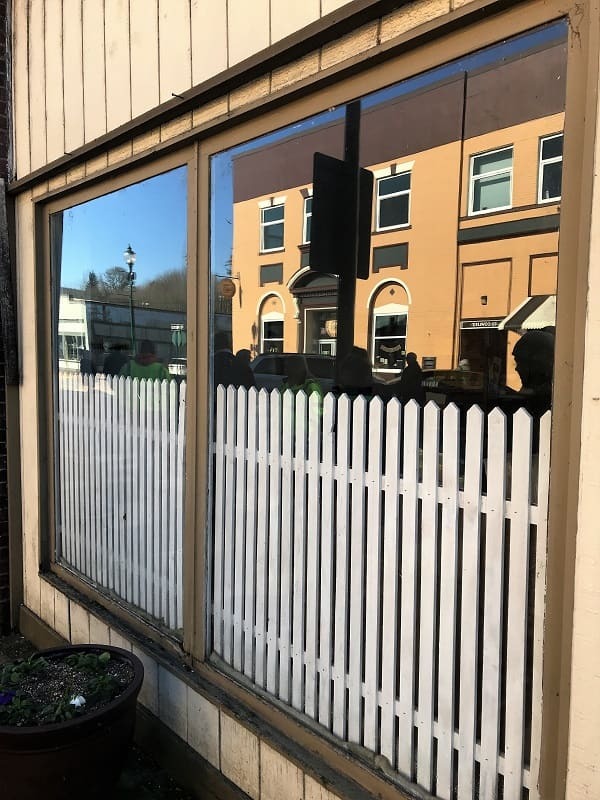 The service business inside didn’t have a lot to put in their windows, so they filled them with this attractive alternative. 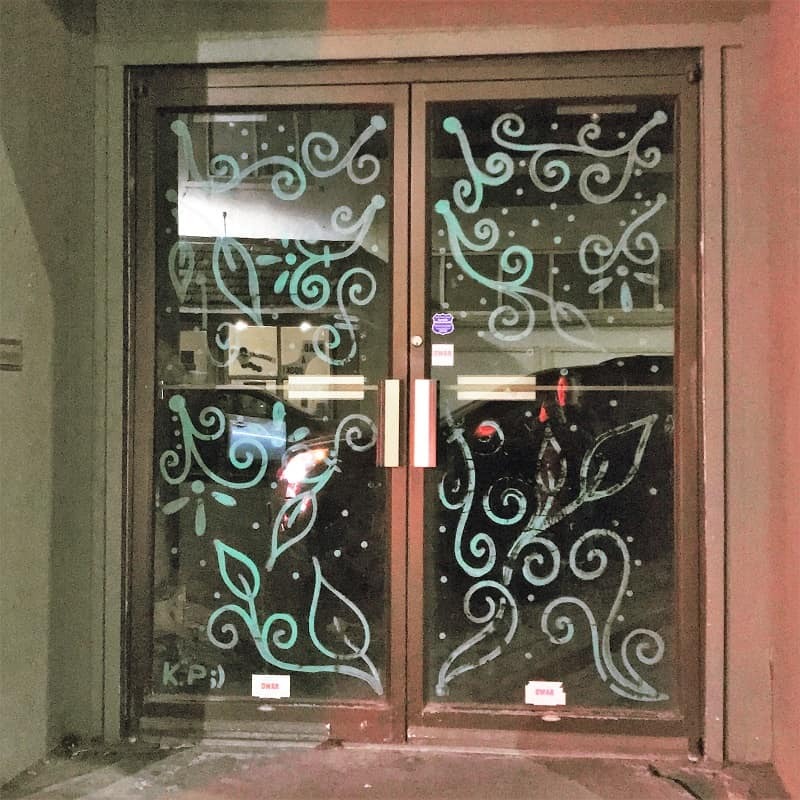 An artistic person with some window chalk put these wonderful vines in the window in downtown Kelso, Washington. Much better than just an empty window. If you’re interested in filling empty buildings, have you thought about dividing them up into shared spaces?